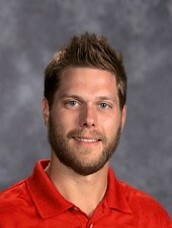 About me: My name is Brad Nyholm and I’m the art teacher at Garaway High School. I attended the Columbus College of Art and Design to get my degree in Illustration. I then continued my education at Akron University for my art teaching degree. I have been involved in Garaway Athletics by coaching the junior varsity boys baseball team in 2014 and 2015. Also, I am the varsity boys golf team coach. In my spare time, I like to spend my time with family, go to our lake house in New York, and snowboard. If you have any questions, feel free to contact me.